At Westville Church of Christ we believe very strongly in the role of Biblical leadership in the church. We are a church that upholds the words of scripture when it speaks of the qualification for elders/pastors in 1 Timothy chapters 3-5. Favorite local restaurant - One that is open. John came to Westville First Church of Christ from Covell Commuity Church, near Bloomington, IL. He was ordained at Covell where he served as Associate Pastor and Director of Discipleship. 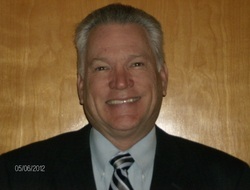 John spent many years in the corporate world in sales and marketing management. His preaching is from the Bible and he relates the Scripture to life here and now. John has served in many churches as elder, teacher and associate pastor. He has also served in various capacities in rescue missions, food pantries, community outreach ministries and homes for children. John and his wife Barb have been married for 51 years and have 3 grown children, 10 grandchildren and nine great grandchild. Bob Brooks is a life time member of WCOC, he was here when the church was originally planted and at that time he served in the youth group and as one of the church's first ushers. Since that time Bob has served in just about every area of the church as it was needed. He has been a deacon and a junior church teacher. He has headed up the building and grounds department and overseen church finances along with many other things over the years. 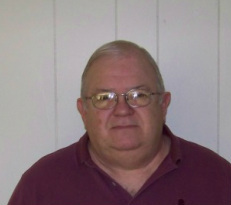 Bob currently serves as Chairman of the Board. Bob lives in Westville with his wife Betty who serves in the children's ministry. They have one son Robert . Favorite T.V Show - Paul lives without the distraction of television. ​Paul Coombs graduated from Lincoln Christian College. He is employed by Walgreens Help Center in Danville. He enjoys working on computers and is interested in technology of all sorts. Paul and his wife, Joanna, live in rural Vermilion County with their two sons, Scott and Morgan. Seigel is a long time member of the community and has served the church faithfully for many years. He has retired for a long career at Lawhoff. Favorite T.V. Show - Joanna also lives without the distractions of television. Joanna Coombs graduated from the College of Music at Southwest Missouri State University. Joanna teaches voice at the Georgetown Ridge Farm Jr. and Sr High Schools. She is active with the Danville Sweet Adelines,and other communmity groups and enjoys reading and sewing in her spare moments.